Free radicals, those DNA-damaging single-oxygen atoms, are produced in spades during exercise. Dogs that exercise a lot, like hunting dogs, may need to consume more antioxidants than their less-active counterparts to protect against this damage. But what diet formulation best meets the needs of these furry athletes? A new University of Illinois study provides some answers in a real-world scenario. 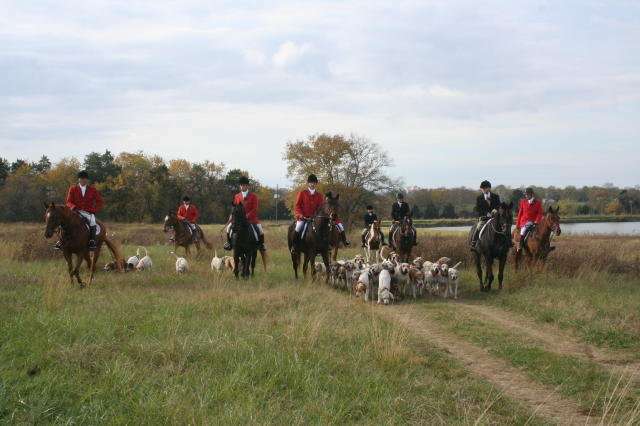 Researchers visited a kennel of American Foxhounds in Alabama over the course of a hunting season, providing one group a high-performance commercial diet and another group a test diet similar to the commercial diet, but with added antioxidants (vitamins C and E, and lutein), zinc, and taurine. During the study, dogs from both groups went on two to three hunts per week, each 2 to 5 hours in length. "We think of it as unstructured endurance exercise. They're not running the entire time. They might stop to sniff or go more slowly to pick up a scent," says Kelly Swanson, corresponding author on the study and Kraft Heinz Company Endowed Professor in Human Nutrition in the Department of Animal Sciences and the Division of Nutritional Sciences at U of I. Before starting the diets and on four occasions during the seven-month study, researchers took blood samples from the dogs to examine oxidative stress markers and other blood metabolites. "We hypothesized that dogs fed the test diet would have a lower concentration of oxidative stress markers and improved performance compared to the dogs fed the commercial diet," Swanson says. "It turns out performance wasn't affected by diet, but the test diet did improve indirect measures of oxidative stress. Therefore, improved performance may be expected with more strenuous exercise when metabolic demands are higher." The amino acid taurine, once thought to be non-essential for dogs but now recognized as an important nutrient for heart health, declined over the course of the season for dogs fed the commercial diet. The same pattern occurred with vitamin E. Although one dog did come close to a critically low level of taurine during the study, all dogs fed the commercial diet stayed within the normal range for all blood metabolites. For dogs fed the test diet, taurine and vitamin E levels were maintained at or above the baseline. The results suggest to Swanson and his co-authors that these compounds are compromised in athletic dogs over months of unstructured exercise, and more-active dogs such as sled dogs may experience greater depletion. "We can conclude that athletic dogs may benefit from supplementation of vitamin E and taurine to minimize oxidation and maintain taurine status," he says.